Harvey’s flood waters damaged the small Texas city of Lumberton in a way we never imagined. Where two highways diverged to collectively embrace a thriving community, draining flood water reveals the destruction left behind. “Make it your hometown” is the slogan prominently displayed as your drive into Lumberton, Texas, which was very recently immersed in Harvey’s flood waters. It’s one of those sayings you might quickly dismiss or laugh off as a cliche. However, the city of Lumberton actually is my hometown in every sense of the word. Although Lumberton has not been my home for many years, the town has had an indelible influence on my life. It’s where I came to realize that ‘Friday night lights’ was not just a tv show, that you are encouraged to throw your peanut shells on the floor of Catfish Cabin and that wrapping your friend’s house in toilet paper is actually a sign of endearment. Lumberton is one of many small Southeast Texas towns that has just one school for every grade level. Therefore, by the time you graduate, you know everyone. Sure, there are the jocks, the drill team, and band nerds (I use that term proudly). You’ll even find that group in cowboy hats that would play their guitars before the first morning bell – but we all have one thing in common. We all shared the experience of knowing the meaning of “love thy neighbor” because of the little town we grew up in. Lumberton takes care of its own and anyone that happens to pass through. We saw it when 5 of our fellow students lost their lives in a horrible car accident in 1998. We saw it when hurricane Rita dropped 100-foot pine trees in the middle of living rooms and we see it now as now as Harvey’s flood waters are finally beginning to recede after touching roofs of homes. But these aren’t just any homes. These are the homes many of us played in as kids or met at before a school dance to take pictures. 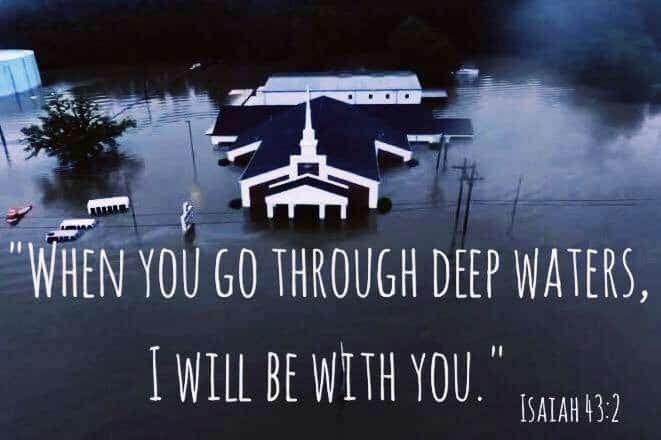 Seeing the pictures on the national news of our hometown covered in a sea of flood water hurts a part of our hearts that we forgot was there. Unfortunately, the effects of what transpired last week will affect the area in the weeks, months and years to come. Just like with Hurricane Rita, Lumberton will never quite be the same. The scars of what so many people are experiencing will one day remind us of the resiliency of our town in the face of personal and economic tragedy. In the pictures on social media, you see “good ol’ boys” with bass boats rescuing anyone they could find. As one boat disappears into the night, three more appear to rescue those in need. In Lumberton, where disaster ensues, kindness soon emerges. However, there’s one things missing from this equation for now. 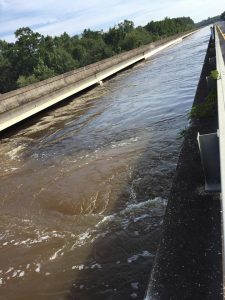 Although Lumberton excels at caring for its own, it will not endure the still-difficult times ahead without the help of those outside it’s city limits. As independent as this little town is, it has a great need for relief and assistance as it begins a new chapter of this tragedy – the rebuilding phase. Yes, our town will rebuild and be better than before but for the time being, it is crippled from the greatest weather disaster in our nation’s history. If you donate to larger entities like the Red Cross, there’s a good chance those contributions will not be sent to Lumberton. Instead, consider helping on a local level. Woodcrest Methodist Church in Lumberton is taking donations online that will be dispersed to those in need throughout the city. I think we often underestimate the greatest power at our fingertips when it comes to helping those in need. At times, even the prayer needs of those that have suffered such a great loss are hard to articulate, but hopefully this prayer guide will be of some help. Pray that even out of this storm that people will see God’s provision, peace and grace, knowing His love even exceeds the number of raindrops that have fallen. 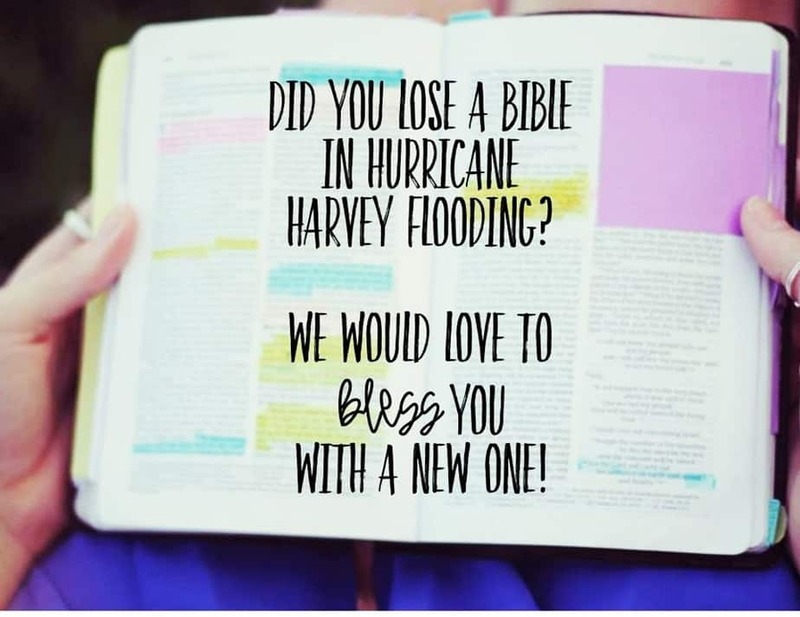 If you know of someone that has lost their Bible in the flood, you can send them HERE where several individuals are donating new ones to Harvey flood victims. Although it may seem monetarily insignificant in comparison to what some have lost, a new Bible can replace a very sentimental possession, giving them the direction and comfort they need most in this difficult time. If you have a friend affected by Harvey, know that the best loan you can give to them might be that of a listening ear. They are no doubt enduring grief over their home and possessions as well as feelings of uncertainty about what the rebuilding process looks like. Many have just transitioned from pure shock to questions of “why” and “how”. The reality is that when flood waters rise in our lives there is only one way we can go – up. When we look to our Lord, we find relief and restoration that we never knew existed as opposed to feeling we are drowning in despair. 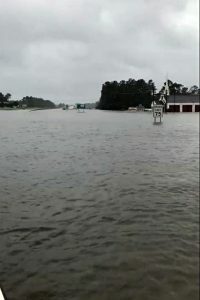 If you have additional resources to help Lumberton on a local level, please include them in the comments section. If you aren’t from Lumberton but want to find a way to help your own hometown, simply call their city hall and they will direct you as to where your contributions can be used locally. Let me know how I can pray for you! I went to school with the young men lost in 98′ and considered one of them a friend of mine. Such an artistic talent the world lost forever. I left for a few years here and there and yet always seem to return. Being a current resident, I truly enjoyed your piece and thank you for bringing attention to the needs of our area. Thank you and God bless. I was in the same graduating class as Trey and remember him well. He had so much talent was brilliant. Isn’t it amazing how you can be so connected to a place you haven’t been in a while. How fun that you are living there again. Thank you for reading my post Shelly! I am posting this for a lady and her 8 yr old daughter who attends Lumberton schools she was offered a place to stay after Hurricane Harvey from a friend of a friend who is now obsessed over her and gets irate if she uses her phone or text . She needs some financial help but mostly a place to live so her daughter can remain in Lumberton school. I am screening for her.My name and email below .Any information or advice will be gratefully appreciated. I’m so sorry to hear that. I’ll be praying for her situation! Thank you for that information Rachel. Thank you for your wonderful article! 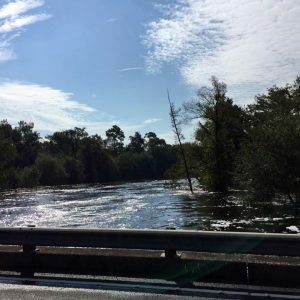 I completely agree that donating locally will benefits not only those that were devastated by the flood waters but will,help our local economy. So many in this area have applied for disaster relief through FEMA and Red Cross and gave been denied. By giving locally, there is a greater chance that they can receive some type of help. I’m so glad you enjoyed it. That was definitely my intent – there are so many small towns in need and donations to Red Cross and other large organizations may never make it to those locations. Thank you for stopping by Karen!